Concept Car Design dissects the process of designing these imaginary flights of fancy from idea, through refinement and creative expression, to realization. 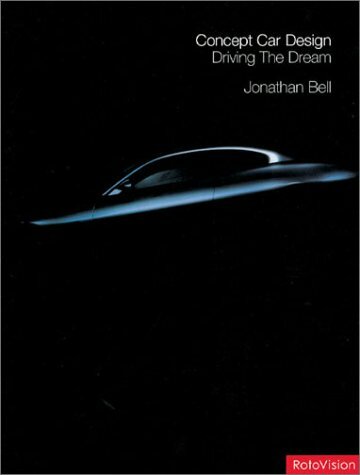 Jonathan Bell reveals where designers look for inspiration when envisioning the cars of the future, and how they respond to the demands of the market - aesthetic, economic or environmental. His book demonstrates how they use the tools, from sketching and rendering to wireframe and clay modelling, with which they explore a creative vision and present it tangibly, and how that vision transfers to the cars on our roads. Featuring the work of major manufacturers, independent design consultants and automotive design students around the world, Concept Car Design is perfect for car fanatics, designers in any discipline, and those interested in the journey from idea to reality. The car of the future has been an evocative and emotive subject almost for as long as cars have existed. No industrial product carries more dreams, hopes and wild imaginings than the form of transport dearest to the human heart. This title dissects the process of designing these imaginary flights of fancy from idea through refinement and creative expression to realization. It analyses where designers look for inspiration when envisioning the cars of the future and how they respond to the demands of the market - aesthetic, economic or environmental. The book also explores the various stages of car design: from sketching and rendering to wireframe and clay modelling - tools with which designers explore their creative vision to realise the finished products we see on our roads.